Today I'm going to be doing a little customisation for you. We all get things that we wish we could make more stylised to us. You guys know what I'm like, the coat was a key example of my want to customise. 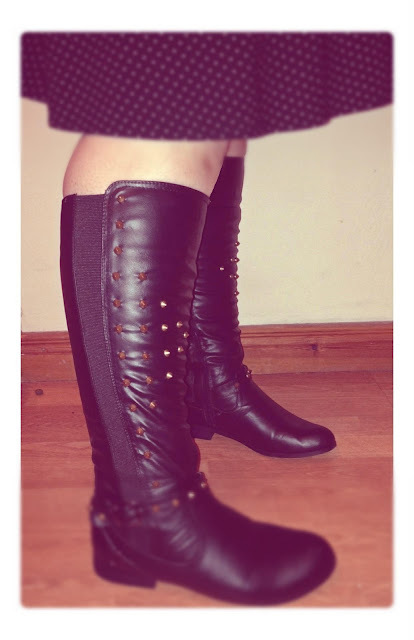 Knowing this the lovely folks at Boohoo.com decided to challenge my customisation skills and asked me if I'd like to try customising some of their boots. I picked a pair of riding boots I thought would make a great customisation and off I went! 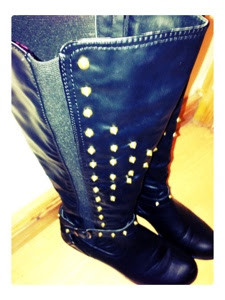 1) a basic stud customisation just adding a little flare for those of you who want to try it. 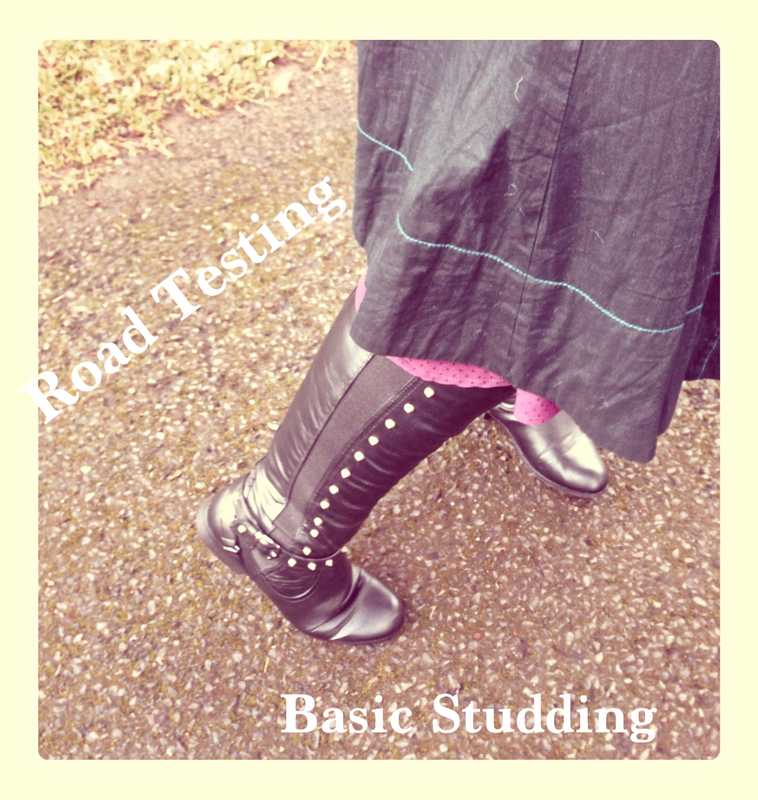 So let me show you what the basic stud design looks like! These boots are actually fantastic, they have elasticated panels which are perfect if like me you have some chunky calves. They're a real recommendation from me. So here's what you can do to add some of your own flair to them. I bought some conical studs from eBay, there are so many different types, from squares to flat in a myriad of different sizes. 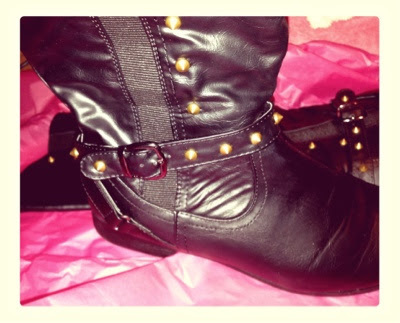 I really liked these ones but again you can pick whatever ones you want. I think these cost me all of £3.00 for about 100. Bargain. All you have to do, if your material is thin enough is push them through. Bear in mind denser fabrics like denim may be more tricky but there are ways and means of studding them. 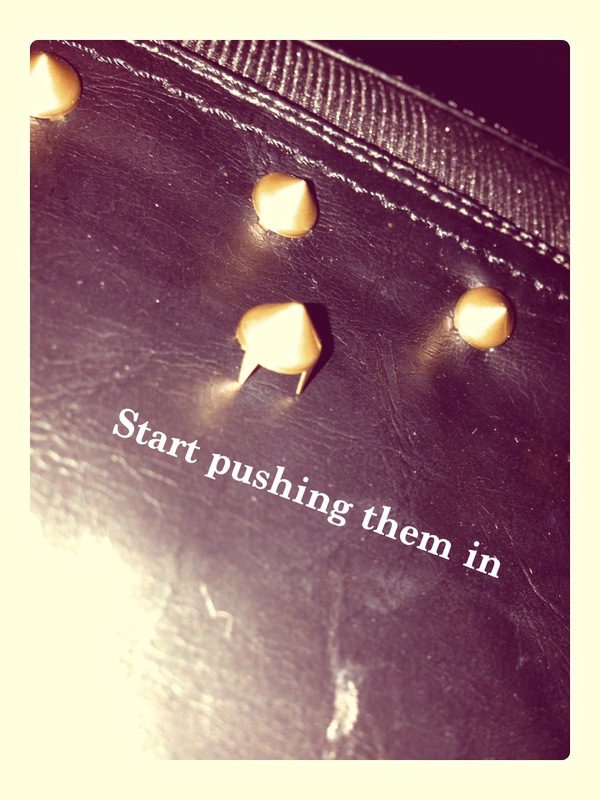 For dense fabrics you can use things like the stud punch, but lets stay simple for now. 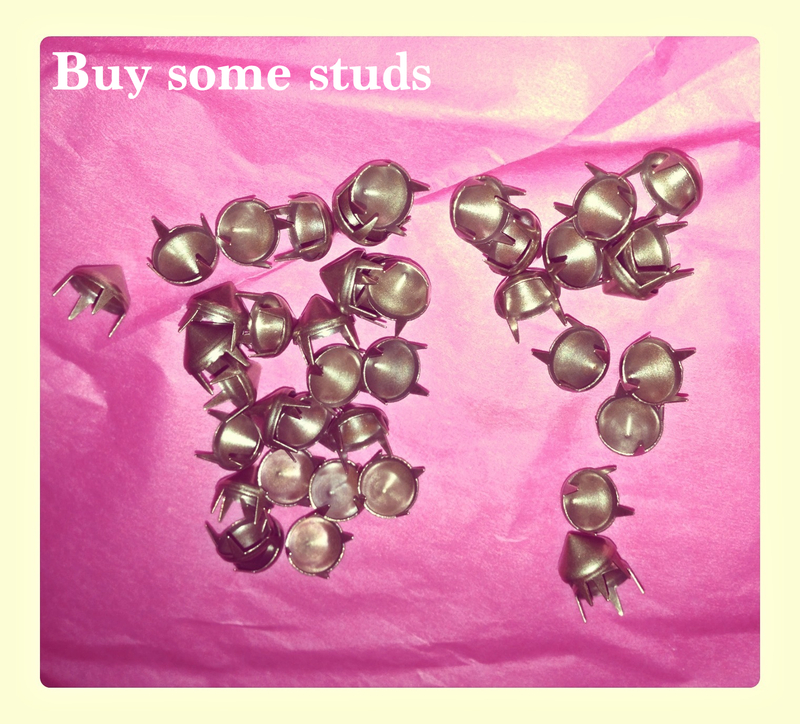 These are easy quick ways of studding, so as much as possible I would recommend these. 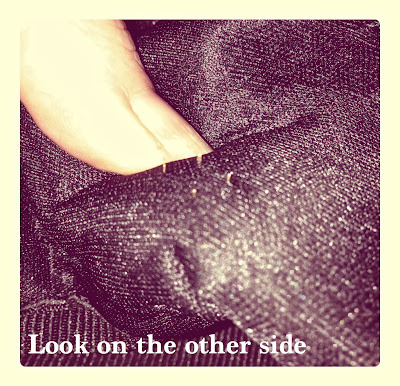 Now you just have to poke the stud through the fabric, press in hard at the back and you'll see 4 little prongs poking through. Then you just have to fold them over. 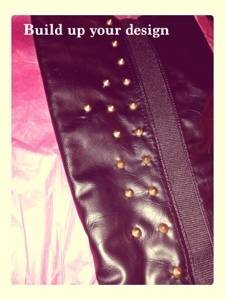 And you're done with a really basic studding design. So what about a more elaborate design? Well there are a few easy ways to do this. 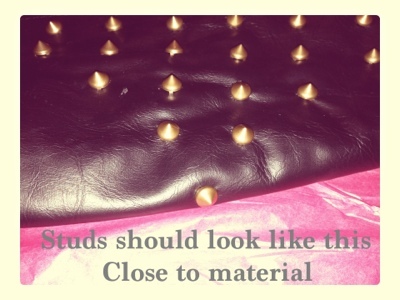 Lay out your studs so you know what you're doing, as you build up your design poke them into the material. 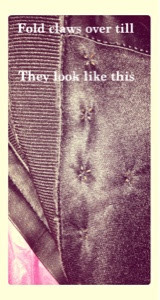 Then gradually start pushing them through the material and fastening them at the back. 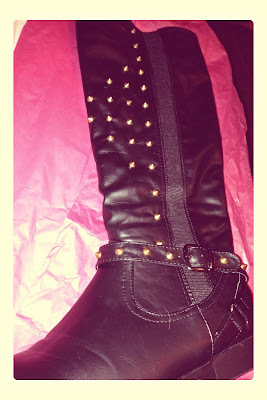 When I finished I wanted to create an arrow-like studding to really transform the riding boots into a biker boot. 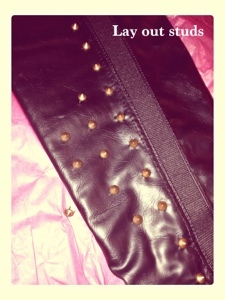 It didn't take too long either, I did the basic studding and wore them out to get a sense of how the studding would hold up. They held up absolutely fine and the studs stayed put. 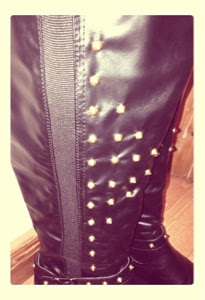 So I knew the more elaborate studding would be fine. 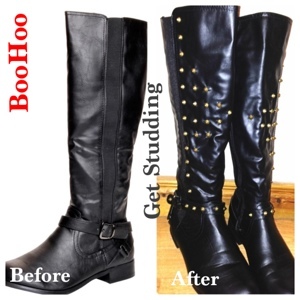 I think it has really changed the look of the boots, and it was so easy and cheap to do. 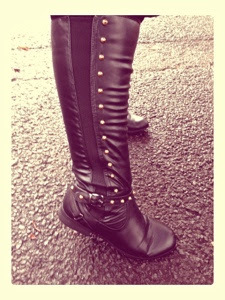 As you can see the studs are nice and tight to the boot. 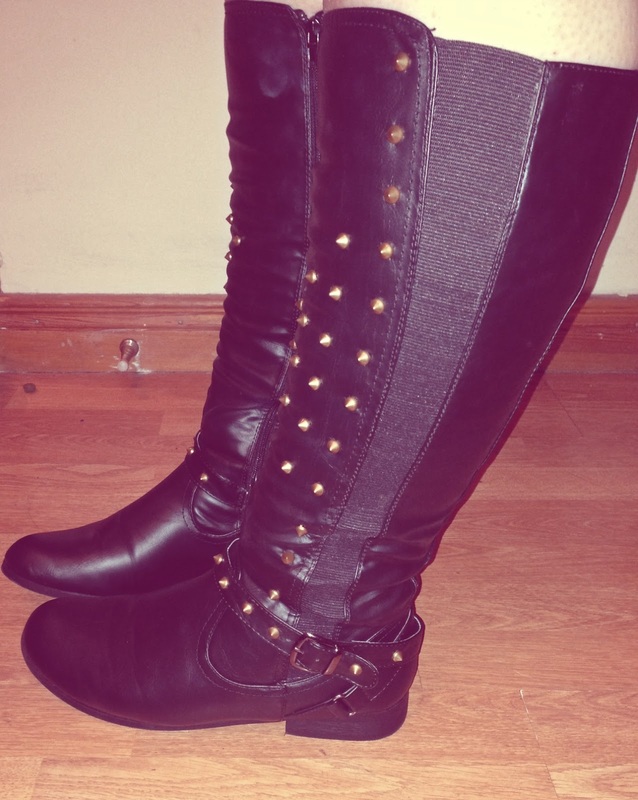 I'm very tall so knee boots usually hit my upper calf but still these boots I really like. I don't usually wear them with bare legs as yuk flabby legs, but I appreciated black tights made them hard to see. 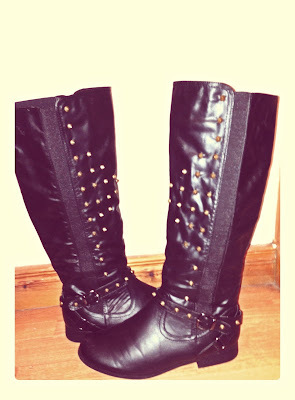 They're super comfy and a doddle to customise. What do you think folks will you try it out?